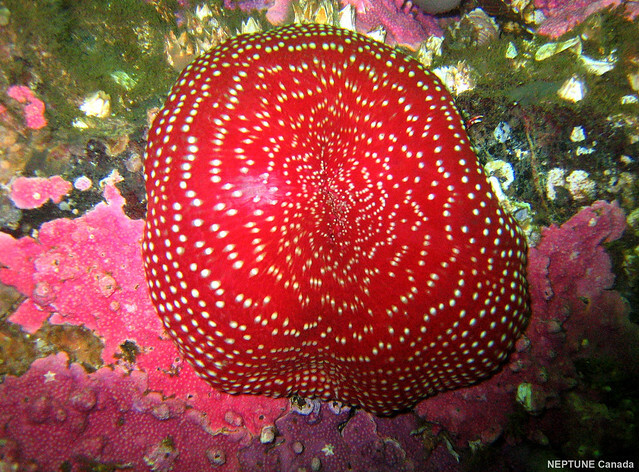 Effective ocean management requires knowledge of the diversity, distribution, and abundance of marine life in the ocean, from microbes, to zooplankton, to fish. This information, as well as knowledge about species interactions, improves our understanding of ocean health and ecosystems both in the water column and on the seafloor, and how the system responds to perturbations. Observations of marine life are needed across the broadest possible scales, from genes, to species, to ecosystems. Understanding the importance of biodiversity to ecosystem function requires knowledge about where species live, the characteristics of their habitats, their roles in the community, and how biodiversity changes over time at the community, species, and population levels. Studying deep-sea vent communities and the subseafloor biosphere also contributes to the fundamental understanding of the limits to life on Earth, its origins and its possible occurrence elsewhere in our solar system and beyond. Question 4. How are changes in the Northeast Pacific affecting fish and marine mammals? Fisheries and Oceans Canada, the federal agency responsible for management of commercial fisheries and marine mammal populations is adopting an ecosystem-based management approach. In order to regulate individual fisheries and protect vulnerable populations, scientists and managers must be able to distinguish between changes in marine food webs resulting from human-induced environmental change and those resulting from fishing effort and techniques. Existing Ocean Networks Canada infrastructure and new mobile platforms will provide data that contribute to understanding population dynamics of a number of marine species in the Strait of Georgia, including out-migrating juvenile salmon from the Fraser River. Satellite imagery, in conjunction with VENUS CODAR-derived currents, fish counts, and zooplankton abundances estimated acoustically, and photos from the Strait of Georgia, will permit mapping of surface and seafloor physical and chemical conditions in relation to fish and plankton concentrations and migrations. 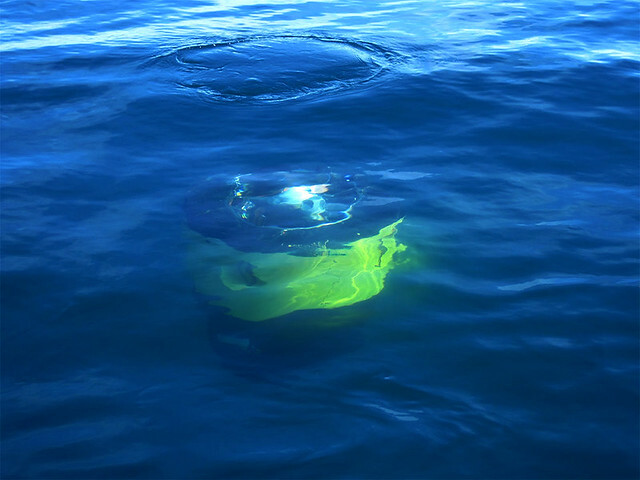 Gliders could provide observations of conditions in the mid-water column. Ocean Networks Canada underwater hydrophones offer opportunities to use passive acoustics to study marine mammals in this region. The volume of data requires automated analytical techniques. Real-time analyses of these data are used to detect and identify cetacean vocalizations and guide sound propagation modelling, and can be expanded in the future. Question 5: How do benthic marine populations and communities respond to and recover from physical and biological disturbance? The bottom boundary layer influences the distribution and stability of benthic biological communities. In shallow-water settings, tides and waves make the bottom boundary layer more energetic. Episodic, large-scale events such as turbidity flows impact both coastal and deep-sea benthos. Disturbances such as earthquakes, gas and liquid release, gas hydrate dissociation, bioturbation, and sinking plankton blooms also affect benthic communities. Ocean Networks Canada time-series data can record the thickness, shape, and timing of depositional events and other disturbances that influence epifauna, infauna, sediment structure, and recovery trajectories. With continuous observations, benthic communities can be studied as they respond to short-term (e.g., turbidity flows, tides, organic pulses, predator activity) and long-term changes (e.g., changes in gas and liquid release from active venting areas located along spreading ridges). Data from existing and future Ocean Networks Canada sensors and instruments, in concert with physical samples from ships of opportunity, will also be used to estimate larval supply and recruitment, two processes that are critical in the recovery of populations from disturbance. Question 6: What are the functions and rates of seafloor and subseafloor biogeochemical processes? Microbial activity such as sediment sulphate reduction and organic carbon oxidation contribute to the ocean’s alkalinity and alter its dissolved inorganic carbon and oxygen concentrations. Simultaneously, seafloor species recycle organic matter and generate nutrients that help drive ocean production. Ocean crustal weathering reactions, enhanced through microbial activity, account for almost one-third of the silicate drawdown globally. Ocean Networks Canada is well positioned to support studies of how seafloor species influence rates of carbon and nutrient cycling in coastal and deep-sea ecosystems and how subseafloor microbial processes influence oceanic and atmospheric chemistry, through deep borehole investigations. Measurements recorded by a benthic crawler, in tandem with shipboard and manipulative experiments, offer mechanisms to link surface biodiversity at methane seeps to subseafloor microbial processes. 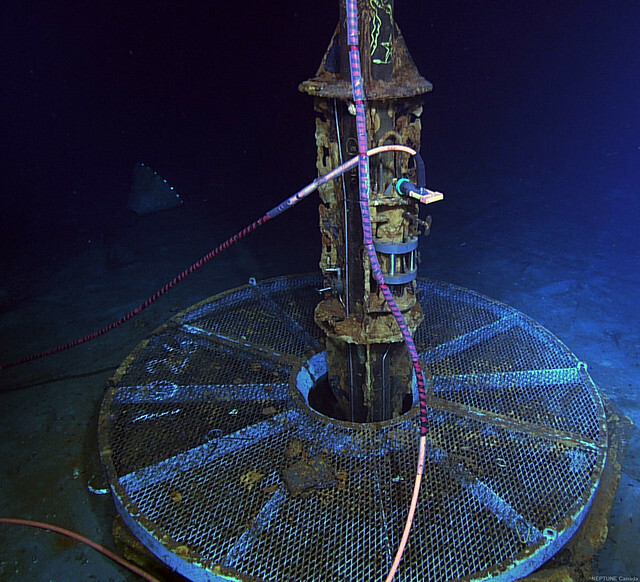 NEPTUNE is connected to an Ocean Drilling Program borehole that is sealed with a CORK (Circulation Obviation Retrofit Kit), enabling prolonged deployment of borehole sensors and instruments that require power to extract subseafloor fluids. Collection of pristine fluids is central to the study of subseafloor environments and the microbes they host. NEPTUNE plans to connect to more CORKs in the future. Question 7: What limits life in the subseafloor? It is estimated that the subseafloor contains up to one-third of Earth’s biomass. In subseafloor sediment, organic matter derived from surface photosynthesis is the main source of electron donors to microbes, and its availability limits their success. Water-rock reactions likely support primary carbon fixation within igneous oceanic crust where varying temperatures affect the distribution of life. There are currently opposing hypotheses about the ability of oceanic crust of various ages to support microbial life. Studies of both sediment-dominated and crustal microbial life can be conducted by installing long-term fluid sampling systems into boreholes connected to Ocean Networks Canada observatories. Automated, lab-on-a-chip technologies, such as the Environmental Sample Processor, soon to be deployed in Saanich Inlet, can provide continuous monitoring of microbial properties of borehole fluids. Question 8: How do the microbial communities regulate and respond to times when oxygen is low and how do these changes affect animal communities? As dissolved oxygen concentrations decline, the habitat available to aerobically respiring organisms in benthic and pelagic ecosystems decreases, altering species composition and food web structure and dynamics. Although low-oxygen zones are inhospitable to aerobically respiring organisms, these environments support thriving microbial communities that mediate cycling of nutrients and radiatively active trace gases such as methane and nitrous oxide that can affect the climate. In 2013, Ocean Networks Canada reached the seven-year mark of collecting long-term, continuous records of temperature, salinity, density, and dissolved oxygen in the oxygen-depleted zone in Saanich Inlet. This time series also includes imagery that records benthic community responses to periods of anoxia and acoustic records of changes in the daily vertical migration of zooplankton through the water column above the oxygen minimum layer. The addition of a vertical profiler with an Environmental Sample Processor (currently capable of probing for specific genes) and sensors for nitrate, pH, and pCO2 will enhance the sensing capability and continue to allow Saanich Inlet to be the ideal laboratory for study of oxygen-minimum zones in the open ocean, which are currently expanding in geographic extent. Question 9: How do ocean transport processes impact primary productivity in the Northeast Pacific? Ocean transport processes from molecular (diffusive/turbulent mixing) to large (wind, tides, currents) scales distribute heat, salt, and nutrients throughout the global ocean. Quantification of ocean mixing processes in areas of strong upwelling and productivity is needed to improve ocean circulation models that, in turn, improve our understanding of how ecosystems will be altered by climate change. An improved understanding of horizontal mixing at all scales, particularly at fronts and during storms, is also important for improving climate predictions. VENUS observations of currents, plankton, temperature, salinity, and oxygen are being used to validate ocean circulation models, which will improve our understanding of what factors regulate primary productivity. NEPTUNE is positioned at the eastern edge of the North Pacific Current where it separates into the southward-flowing California Current and the northward-flowing Alaska Current. The California Current is one of the five major global upwelling systems. Moored water column instruments that measure currents, stratification, temperature, and nutrients (e.g., the existing vertical profiling system), combined with mobile assets (gliders) that delineate the extent of stable and mixing layers, could provide data to describe the temporal variability of mixing on a small scale, supplementing other upwelling area studies that collectively will advance our understanding of how mixing impacts nutrient supply and primary production, and regulates benthic-pelagic coupling, leading to ecological variability.